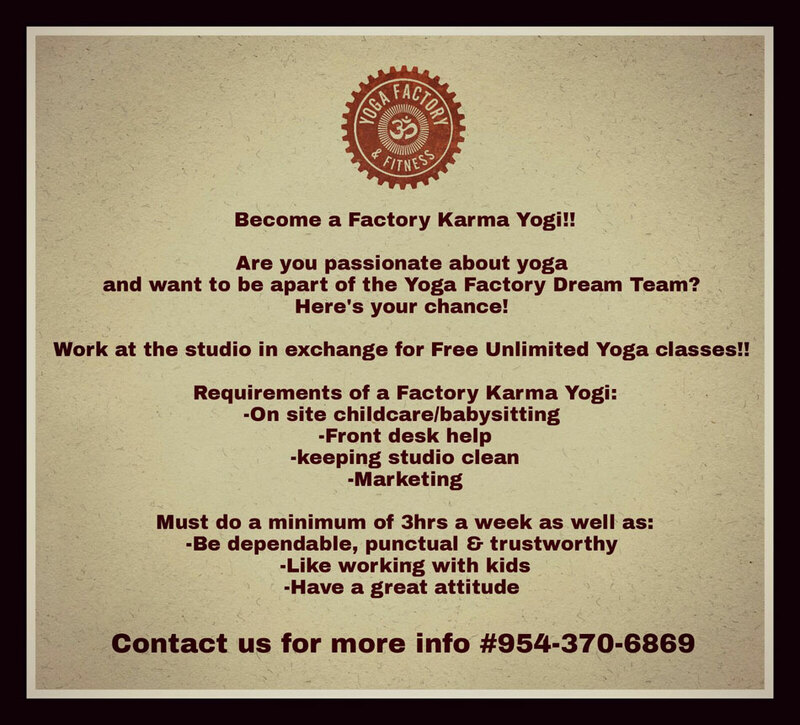 Yoga Factory Childcare room is staffed with experienced caregivers who love kids, are patient, screened and First Aid trained. Childcare not available during other classes. Please fill out childcare waiver. No food or snacks (think of allergies and sticky spills). Please bring your children with full tummies and dry diapers. Child Care check-in at least 15 minutes before class begins. We want your experience to be worry free and will do our best to keep your children happy. However, if your child is inconsolable, we will come get you. If you have older children, they can bring GameBoys, iPads, etc. Please make sure that your child has been changed prior to class as we cannot change diapers. Hourly childcare is available for an additional fee on select classes. Please consult schedule for latest availability. We reserve the right to deny any child for childcare for any reason but will use that right with discretion. Our intention is to create a welcoming, safe and playful space for your little yogi.